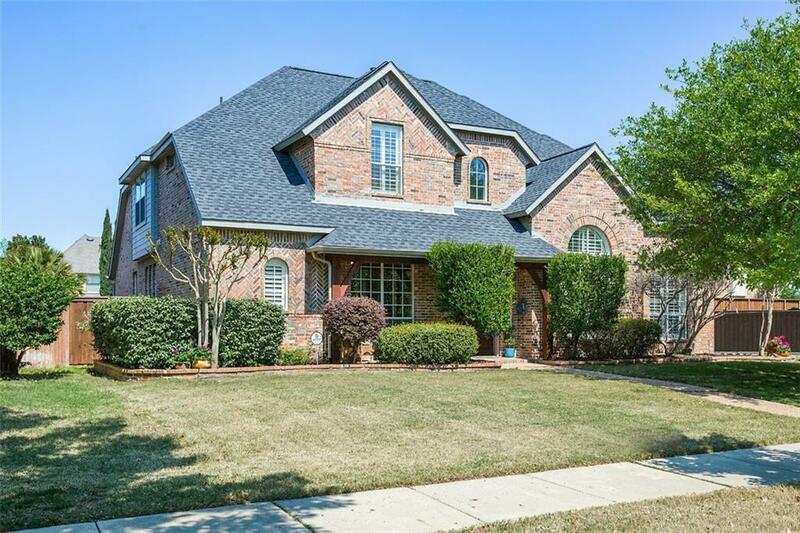 UPDATED HUNTINGTON HOME, 4 BD 3.5 BATH, 3 car garage. 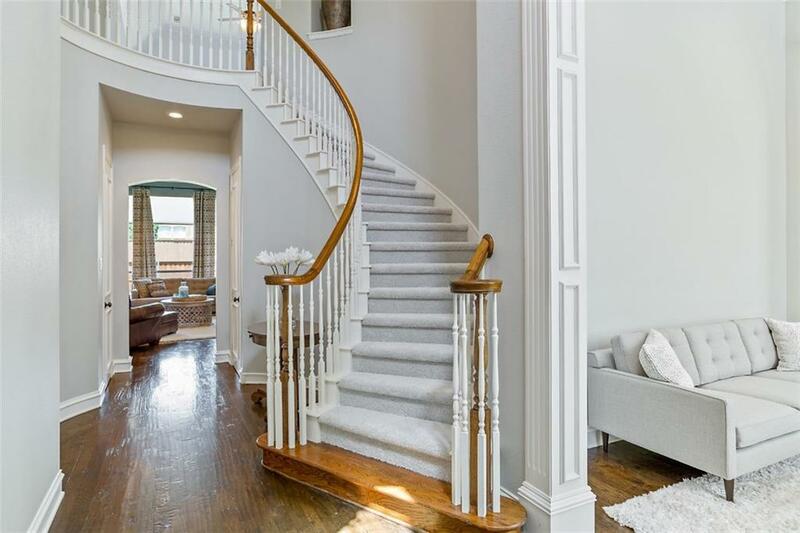 Two story entry with curved staircase and beautiful woodwork. 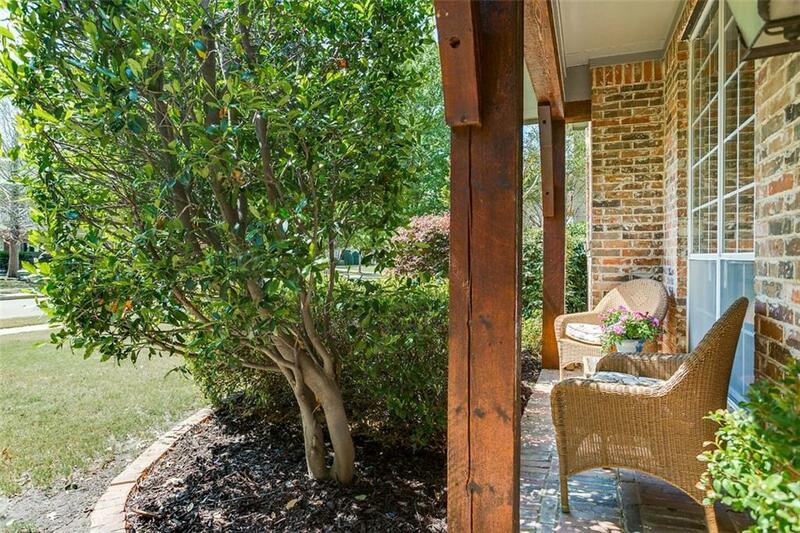 Home features fresh paint color,new carpet, large bedrooms and plantation shutters. Hand scraped HW'S in entry, formals, study and family rm. Study w custom built in's. KIT w painted cabinetry, NEW SS Appliances, Dbl Ovens, MW, Gas cook top, Quartz counters,subway tile back splash, floor tile and SS sink. Spacious MSTR BDRM with large WIC. MSTR BATH has frame-less travertine shower and floors, quartz c-tops. Upstairs has split beds, separate guest BDRM with bath. Back stairs lead from GMRM to kitchen. 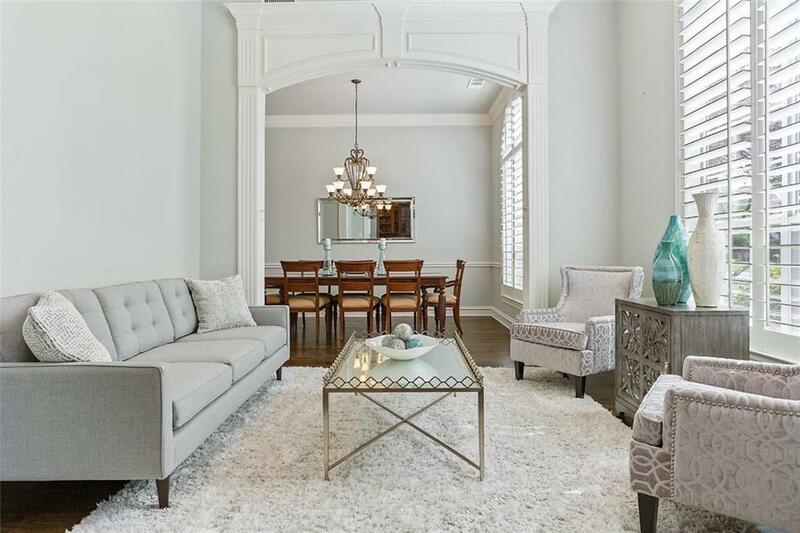 Castle Hills is a master planned community w parks, trails, pools and an education fund. Offered by Sally Esposito of Dfw Realties.